at Benhall Farm, a real working farm with milking cows, calves, sheep and during February/March Lambs. Each property has a kichnette with all modern appliences, lounge and dinning areas, televisios and videos, come and relax! 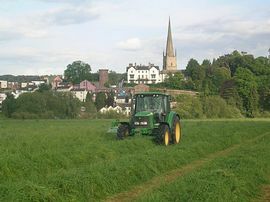 The farm is set on the banks of the River Wye, just outside the market town of Ross-on-Wye, close links to the Forest of Dean, the historic city of Hereford, with its Cathedral containing the Mappa Mundi. 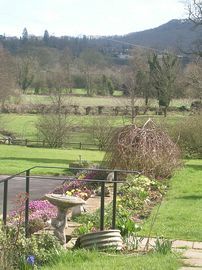 Ledbury, Hay-on-Wye and the Welsh borders. Just an hour from Cardiff. Many walks closeby, canoeing/cycling can be arranged. Golf course nearby, or just take a stroll by the river and see all the wildlife in their natural habitat. Peaceful tranquil location yet never far from anywhere. Close to all major raod networks. direction of the M50 immediately off the roundabout take a left into no through road Benhall Lane, Benhall Farm is at the end. 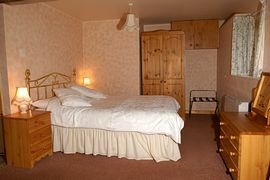 Tariff from £200.00 to £275.00 per week including electric and linen. 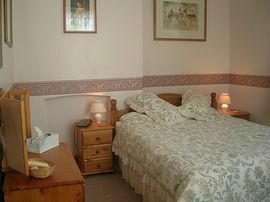 Short Breaks are available in low season, please ask for availabilty and cost depandent on length of stay. 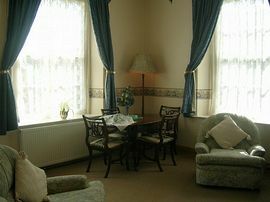 Guests are asked to arrive after 2.00pm and depart before 10.30am.